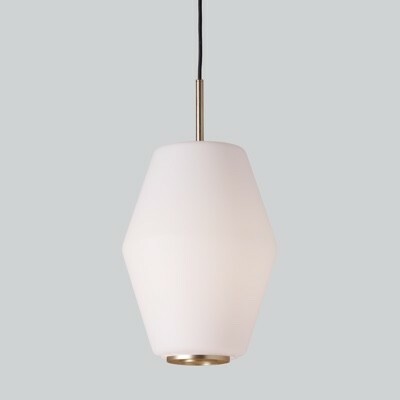 The Anoli pendant has a simple drop shaped shade made from either opal or gold tinted mouth-blown glass. The suspension is in gold powder coated metal. With its simple clean lines and smooth edges it is reminiscent of traditional nordic design, however Anoli is also a bold interior statement. 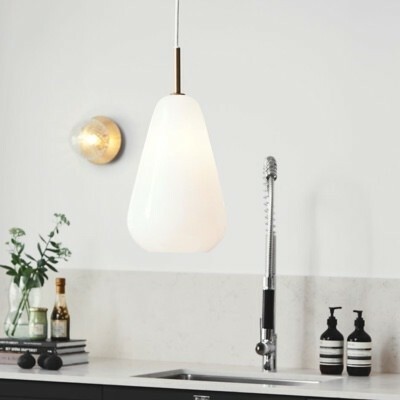 It gives even diffusion of soft light perfect for kitchens and dining areas. 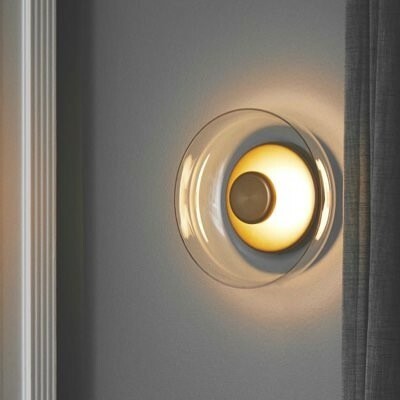 Anoli 3 pendant consists of three of the 16cm diameter shades mounted on a single 25cm ceiling rose. 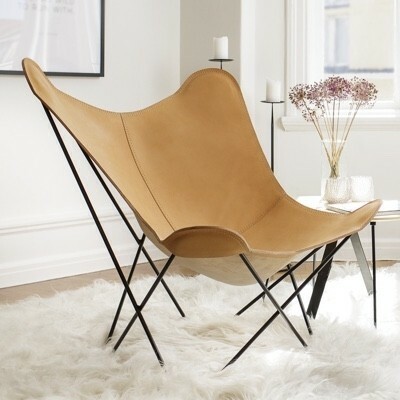 It is perfect for double height ceilings and stairways either hung as a cluster or staggered in height.